The 246th Law Commission of India Report titled, ‘Amendment to the Arbitration and Conciliation Act, 1996’ suggests some major changes to the Arbitration and Conciliation Act. The report seeks to find an appropriate path and balance between judicial intervention and judicial restraint. Similarly, the Commission seeks to accord legislative sanction to rules of institutional arbitration which recognise the concept of an “emergency arbitrator” – and the same has been done by broadening the definition of an “arbitral tribunal” under section 2(d). The Commission has also recommended a model schedule of fees and has empowered the High Court to frame appropriate rules for fixation of fees for arbitrators and for which purpose it may take the said model schedule of fees into account. The model schedule of fees are based on the fee schedule set by the Delhi High Court International Arbitration Centre, which are over 5 years old, and which have been suitably revised. The schedule of fees would require regular updating, and must be reviewed every 3-4 years to ensure that they continue to stay realistic. This recommendation is however purely restricted to domestic, ad hoc, arbitration. The Commission notes that a conscious use of technology, like teleconferencing, video- conferencing etc., should be encouraged and the same can easily replace the need for purely formal sittings and thereby aid in a smoother and more efficient conduct of arbitral proceedings. It recommends addition of the second proviso to section 24 (1) to the Act, which is intended to discourage the practice of frequent and baseless adjournments, and to ensure continuous sittings of the arbitral tribunal for the purposes of recording evidence and for arguments. It has proposed an addition to the Preamble of the Act as well, in order to re-affirm the Act’s focus on achieving the objectives of speed and economy in resolution of disputes. It urges the Government to consider the experience of Delhi High Court and request the Chief Justices to create specialised and dedicated arbitration benches. The Commission has proposed changing the existing scheme of the power of appointment being vested in the “Chief Justice” to the “High Court” and the “Supreme Court” and has expressly clarified that delegation of the power of “appointment” shall not be regarded as a judicial act. This would rationalize the law and provide greater incentive for the High Court and/or Supreme Court to delegate the power of appointment (being a non-judicial act) to specialized, external persons or institutions. The Commission has further recommended an amendment to section 11 (7) so that decisions of the High Court (regarding existence/nullity of the arbitration agreement) are final where an arbitrator has been appointed, and as such are non-appealable. The Commission further proposes the addition of section 11 (13) which requires the Court to make an endeavour to dispose of the matter within sixty days from the service of notice on the opposite part. Similarly, Commission recommends addition of sections 34(5) and 48(4) which would require that an application under those sections shall be disposed off expeditiously and in any event within a period of one year from the date of service of notice. In addition, a new Explanation has been proposed to section 23 of the Act in order to ensure that counter claims and set off can be adjudicated upon by an arbitrator without seeking a separate/new reference by the respondent, provided that the same falls within the scope of the arbitration agreement. The Commission has also recommended mandatory disclosures by the prospective arbitrators in relation to their ability to devote sufficient time to complete the arbitration and render the award expeditiously. It is recommended that in the case of international commercial arbitrations, the relevant “Court” which is competent to entertain proceedings arising out of the arbitration agreement, should be the High Court, even where such a High Court does not exercise ordinary original jurisdiction. Amendments have been recommended to Sections 8 and 11 of the Act, in order to restrict the scope of judicial intervention, to situations where the Court/Judicial Authority finds that the arbitration agreement does not exist or is null and void. In so far as the nature of intervention is concerned, it is recommended that in the event the Court/Judicial Authority is prima facie satisfied against the argument challenging the arbitration agreement, it shall appoint the arbitrator and/or refer the parties to arbitration, as the case may be. The amendment envisages that the judicial authority shall not refer the parties to arbitration only if it finds that there does not exist an arbitration agreement or that it is null and void. 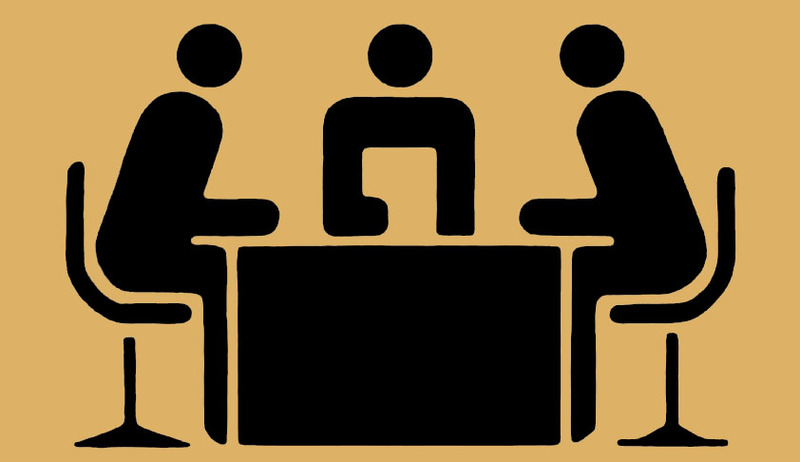 If the judicial authority is of the opinion that prima facie the arbitration agreement exists, then it shall refer the dispute to arbitration, and leave the existence of the arbitration agreement to be finally determined by the arbitral tribunal. However, if the judicial authority concludes that the agreement does not exist, then the conclusion will be final and not prima facie. It has recommended the addition of section 34 (2A) to deal with purely domestic awards, which may also be set aside by the Court if the Court finds that such award is vitiated by “patent illegality appearing on the face of the award.” In order to provide a balance and to avoid excessive intervention, it is clarified in the proposed proviso to the proposed section 34 (2A) that such “an award shall not be set aside merely on the ground of an erroneous application of the law or by appreciating evidence”. The Commission has further recommended the restriction of the scope of “public policy” in both sections 34 and 48. Under the formulation of the Commission, an award can be set aside on public policy grounds only if it is opposed to the “fundamental policy of Indian law” or it is in conflict with “most basic notions of morality or justice”. Certain amendments have been suggested by the Commission to section 36 of the Act, which provides that the award will not become unenforceable merely upon the making of an application under section 34. The Commission believes that while it is important to provide teeth to the interim orders of the arbitral tribunal as well as to provide for their enforcement, the judgment of the Delhi High Court in Sri Krishan v. Anand is not a complete solution. The Commission has, therefore, recommended amendments to section 17 of the Act which would give teeth to the orders of the Arbitral Tribunal and the same would be statutorily enforceable in the same manner as the Orders of a Court. The Commission has proposed the requirement of having specific disclosures by the arbitrator, at the stage of his possible appointment, regarding existence of any relationship or interest of any kind which is likely to give rise to justifiable doubts. The Commission has proposed the incorporation of the Fourth Schedule, which has drawn from the Red and Orange lists of the IBA Guidelines on Conflicts of Interest in International Arbitration, and which would be treated as a “guide” to determine whether circumstances exist which give rise to such justifiable doubts. On the other hand, in terms of the proposed section 12 (5) of the Act and the Fifth Schedule which incorporates the categories from the Red list of the IBA Guidelines (as above), the person proposed to be appointed as an arbitrator shall be ineligible to be so appointed, notwithstanding any prior agreement to the contrary. In the event such an ineligible person is purported to be appointed as an arbitrator, he shall be de jure deemed to be unable to perform his functions, in terms of the proposed explanation to section 14. To respect party autonomy, the Commission has proposed the proviso to section 12 (5), where parties may, subsequent to disputes having arisen between them, waive the applicability of the proposed section 12 (5) by an express agreement in writing. In all other cases, the general rule in the proposed section 12 (5) must be followed. Amendments to section 31 have been recommended in order to clarify the scope of powers of the arbitral tribunal to award compound interest, as well as to rationalize the rate at which default interest ought to be awarded and move away from the existing rate of 18% to a market based determination in line with commercial realities. The Commission has, therefore, sought comprehensive reforms to the prevailing costs regime applicable both to arbitrations as well as related litigation in Court by proposing section 6-A to the Act, which expressly empowers arbitral tribunals and courts to award costs based on rational and realistic criterion. The Commission has also proposed some amendments in order to clarify certain other provisions in the Act. An amendment has been proposed to the definition of “international commercial arbitration”, in section 2 (f) (iii) by removing the reference to a “company”, which is already covered in section 2(f) (ii). It also recommends amendment to the definition of “party” under section 2 (h) of the Act. Two sets of amendments have also been proposed to section 7. It is clarified that an arbitration agreement must concern “subject matter capable of settlement by arbitration.” This gives statutory recognition to the doctrine of arbitrability. The proposed sections 7(3A) and 7(3B) is intended to bring the Indian law in conformity with the UNCITRAL Model law and clarifies that an arbitration agreement can be concluded by way of electronic communication as well. The Commission has also proposed an amendment to section 25 (b) to clarify that where, on the default on the Respondent in communicating his statement of defence, the arbitral tribunal shall also (in addition to having the right to continue with the arbitration) have the discretion to treat the right of such Respondent to file a statement of defence as having been forfeited. Subsequently, in the wake of the report of the Justice Saraf Committee the Bill was referred to the Department Related Standing Committee on Personnel, Public Grievances, Law and Justice for a further analysis. The Departmental Related Standing Committee was eventually of the view that many provisions in the Bill were insufficient and contentious and, therefore, the Bill in its present form should be withdrawn and be reintroduced after considering its recommendations. Accordingly, the Bill was withdrawn from the Rajya Sabha. Insertion of new section 85-A is recommended, to clarify the scope of operation of each of the amendments with respect to pending arbitrations/proceedings. As a general rule, the amendments will operate prospectively, except in certain cases as set out in section 85-A or otherwise set out in the amendment itself.